Thermostat Won't Turn On: Why Don't I Have Heat? Thermostat Won’t Turn On: Why Don’t I Have Heat? Home/Blog/Thermostat Won’t Turn On: Why Don’t I Have Heat? It’s one of the worst situations you can experience as a homeowner. You wake up on a winter morning and notice it’s extremely cold in your home; you walk over to check the thermostat but you can tell it’s set at a balmy 72, so you play around with your thermostat and still, nothing. You have no heat! It’s never fun to have a furnace that won’t turn on, especially during the cold season, but step away from the thermostat and take a deep breath. 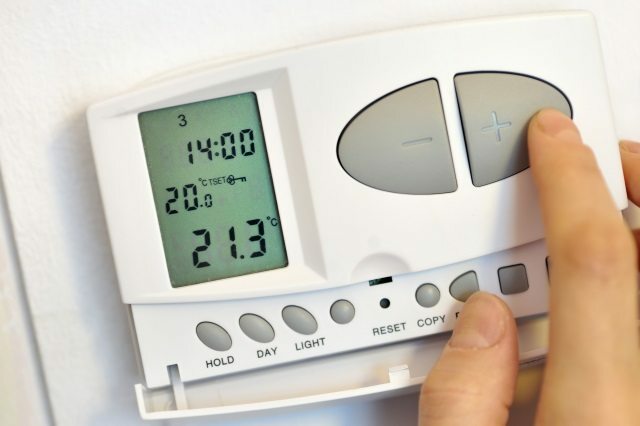 Many times your heating system isn’t completely broken, it has issues you may able to fix. Let’s look at why your heat won’t turn on. 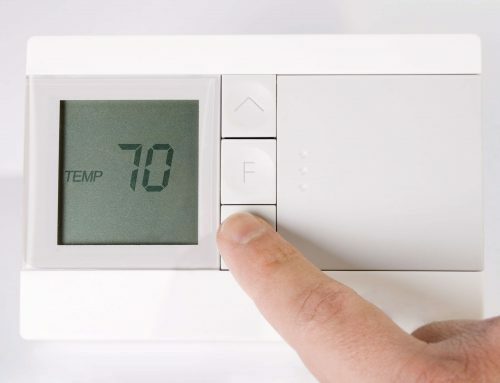 So, Your Thermostat Won’t Turn On, What Now? Let’s walk you through some troubleshooting tips to deal with no heat, if you get through these tips and you’re still having issues, give Front Range HVAC call to figure out what’s going on. Sometimes no heat could be as simple as no power. Double and triple check that everything is plugged in and powered on as it should be. Check the breaker or fuse to your burner and make sure it hasn’t been tripped. Make sure your thermostat is on, set to heat, and the needle or measurement is well above your current temperature. Double check to make sure your thermostat is powered on and that any batteries are refreshed by it. If you’ve made it through the first two steps and still are lacking power, it’s time to look at the furnace itself. The furnace catches condensation in either a pan or simple pipe that empties into a drain. Make sure the pipe that empties into the dream is not clogged. If you have a pump and not a drain, check to see that the pump is not stuck in an up position, if it is, clean and drain the pan and retry your furnace. Double check the air filters. Clogged air filters may cause your furnace to turn off as a safety feature. If your filters are clogged, clean them out and try your filter again. If you’ve made through these steps and you’re still having an issue, check the pilot light and burners on your furnace. If you have no pilot light, or if the pilot is lit and your burners won’t turn on, you’re ready to move to the last step. Attempting a self-fix on a furnace is a bad idea due to serious consequences if something is messed up. If you’re ready to have your furnace back up and running, call Front Range HVAC to have the issue diagnosed and fixed as soon as possible. By admin|2018-06-08T13:50:41-06:00January 27th, 2017|Blog|Comments Off on Thermostat Won’t Turn On: Why Don’t I Have Heat?